Yasin Malik is a Kashmiri separatist leader who advocates the separation of Kashmir from both India and Pakistan. He is the Chairman of Jammu Kashmir Liberation Front, which originally spearheaded armed militancy in the Kashmir Valley. Malik renounced violence in 1994 and adopted peaceful methods to come to a settlement on the Kashmir conflict. 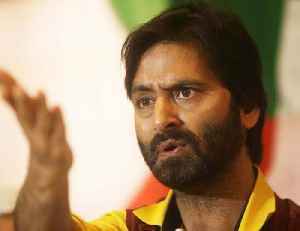 Separatist leader Yasin Malik, who was placed under arrest by the National Investigation Agency (NIA) in a case related to funding of separatists and terror organisations, had complained of chest pain..